If you have ever wondered if it is safe to use your fridge in your RV while you are driving, you have come to the right place. I have done the research to come up with a solid answer for you. 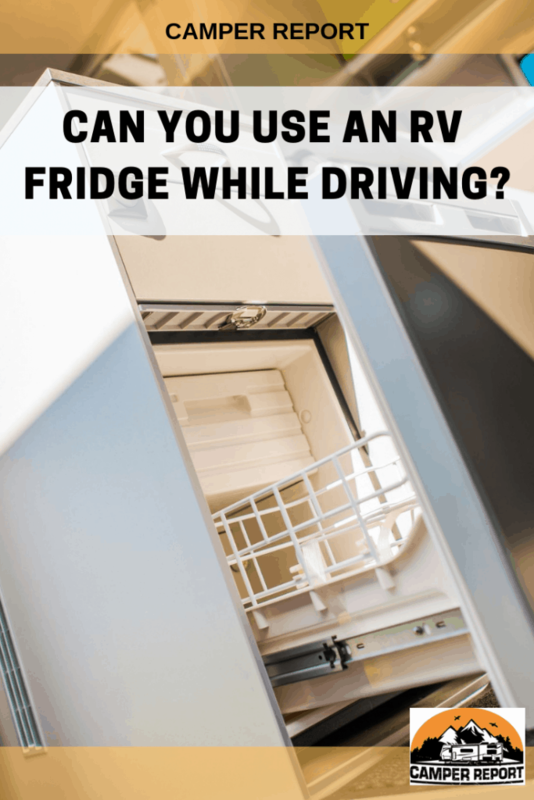 Can you use an RV fridge while driving? An RV fridge can be used while driving. Although there are some concerns with running propane while driving, it is still possible. You could also set your RV fridge to use battery power, which is usually enough to last until reaching your destination. Since it is possible to run your fridge while you are driving your RV, I will give you more information so you are aware of any risk factors that have you have while doing this. Most of your fridges inside of your RV are 2-way refrigerators. They operate best while using propane. There is a possibility that your refrigerator could be a 3-way fridge. In that case, you are able to use 12volt DC while driving. The two options that I will run through are using propane and using a generator. These are two of the most common options for powering your refrigerator. 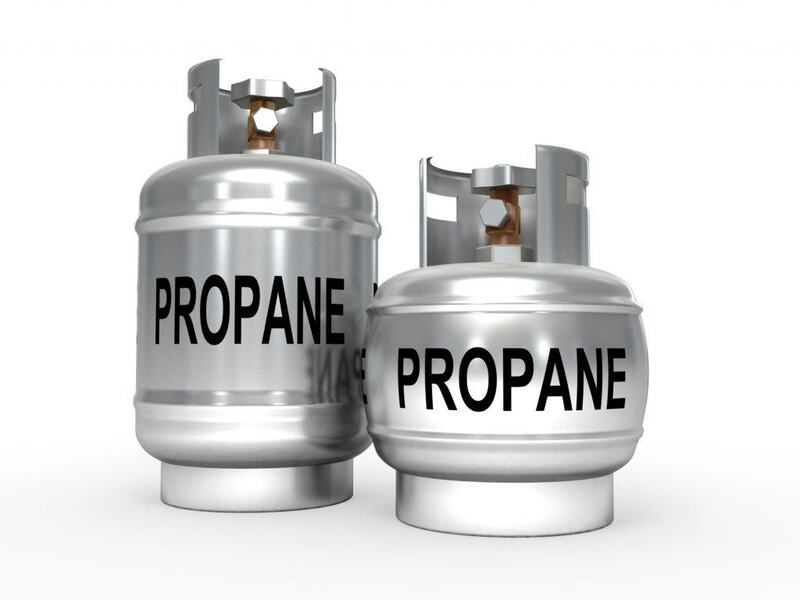 Although propane is the most commonly used, it has the most associated dangers with running it. With a generator, there is more safety guarenteed, but less power. Using propane while driving has many different pros and cons. Although everyone has a different opinion, I personally use propane while driving my RV. This will depend on your personal opinion. Propane is the most commonly used. However, I will run you through the pros and cons to this method. The propane allows your fridge to run. The propane keeps the water inside of your water heater hot. The propane runs the heating system in your RV (this is especially beneficial if you are traveling around a cold area). Appliance can move around while driving, which could break the propane line, leeting the gas in the tank escape. There is only a little spark needed to completely ignite the propane gase. A broken line can trigger a fire in an instant. The most significant con towards having your propane running while driving is the possibility of a fire. Yes, if something goes wrong, such as the line breaking, your RV will be susceptible. There could be a large explosion. However, if you practice safety and check on the propane, you should be just fine. After all, most people are driving with their propane on, and they have lived. Note: It is important to turn off your propane before you enter a gas station. Many other places also require that you turn off your propane when entering a tunnel. A generator is also another option to use while you are driving. Generators vary in their wattage. It is important to look for starting watts when purchasing a generator. This will ensure you have enough power to have your fridge on. Your generator can also be used for your heating and cooling system in your RV. The average generator has 2000-2500 starting watts. This is important so it can handle the power spike. To make things easier, I have assembled a list of the best generators for your needs. Champion 3400- Watt Dual Fuel Inverter Generator. This has more watts than your fridge needs, which is beneficial. Generac GP3300 Portable Generator. This generator is fairly cheap in comparison to others. It is also easy to use. Briggs & Stratton 30545 P3000 Power Smart Series. This generator is powerful because it can handle many appliances at once. A con towards having a generator is the space they take up. 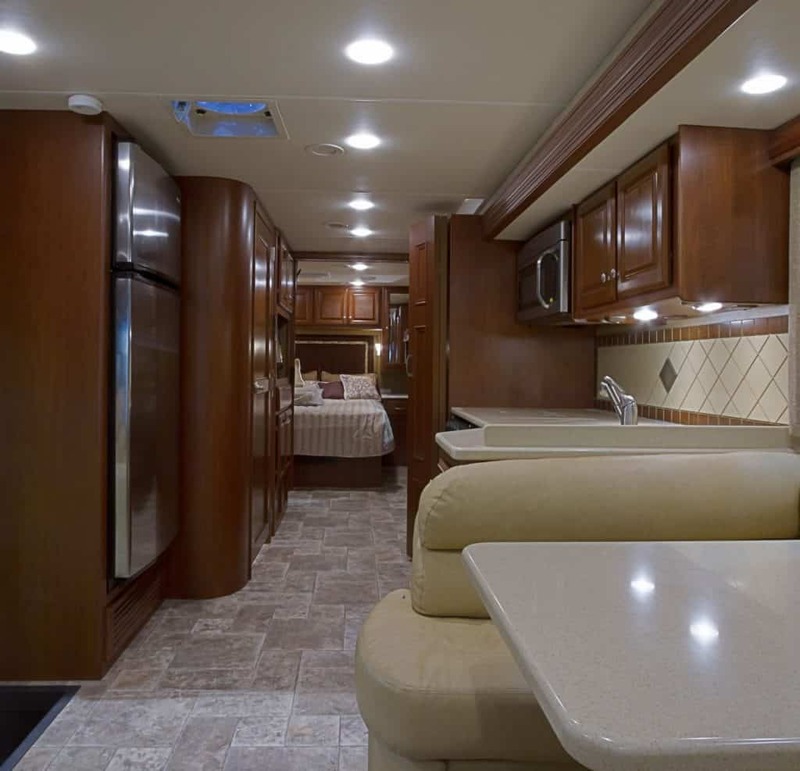 Depending on the size of your RV, you may not want a big, clunky, generator inside. There are smaller options, which typically do not pack as much power inside. These generators are all great options for those of you who do not want to run the risk of using propane. All these generators have plenty of power to supply your refrigerator with power. Also, they are much safer than propane. There is no fear of fire with the use of a generator. Note: generators will also come in handy when there is a power outage. If you do not already have one, it is a great item to own, even without the needs of your RV. If you do not desire to run any risks and are still looking for safe alternatives to keeping your food cool, I have a few more ideas to add to the list. Just not running your fridge. It turns out, your fridge only drops 4 degrees Fahrenheit every eight hours that it stays off. This means that your food will stay fairly protected without your fridge remaining on. Put your fridge on the coldest setting the night before. If you turn your fridge on to the coldest setting, things will be very cold and remain cold throughout your tip easily. Also, since you will not be driving, you won’t run any risks of operating the refrigerator. Use an ice chest. This option is very simple and it will keep any of the foods or drinks that you need cool throughout the day. This will also allow you to open up the fridge less throughout the day. These options all allow for you to not use your refrigerator, but have the same benefits of using it. You can still have all the food you need for the day. And, the food in your fridge will stay cool. If you have concerns about the risks of running propane while driving, this is the best option for you. If you are not convinced that fridge use if for you, you can always pack foods that do not require a fridge. If needed, you can buy refridgeratred items when you are close to your campsite. However, there are many foods you can take camping with you that do not require your fridge. As seen by this list, there are almost endless amounts of foods that you take without needing a fridge. Just like anything you would take with you tent camping. Also, away from this list, there are also foods your can make ahead of time. For instane, if there is a meal that requires an ingredient from the fridge, make it before you leave. There are many options for you to have a great trip without the use of your fridge. How many watts does an RV Fridge use?On average, your RV fridge will need 600 watts to start and 180 watts to run. Although this number is different for each fridge. You can check with the manufacturer if you are unsure. Your fridge should have the wattage specified. Midea WHD-113FB1 Double Door Refrigerator and Freezer. Whynter FM-45G 45-Quart Portable Refrigerator and Freezer. Dometic DM2652RB Americana 2-way Double Door RV Refrigerator. SMAD AC/DC/LPG Compact Propane Gas RV Fridge. How long will an RV fridge run on battery? Your standard RV fridge will run on battery for weeks. However, if it is running on Dc electricity, it will drain the batteries within three hours. This is also variable depending on your battery’s strength.